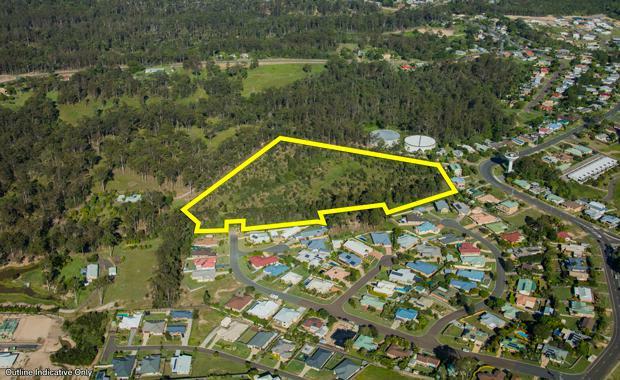 The sale of an elevated residential development site approved for townhouses but also suitable for land subdivision at Gympie in South East Queensland has generated positive interest, according to Ray White Special Projects (Qld). The property at Lot 563 Fauna Road, Gympie, is being marketed via Expressions of Interest by Andrew Burke and Tony Williams of Ray White Special Projects (Qld) under instructions from Receivers and Managers, Grant Thornton. The approximately 4.42ha Fauna Rd site adjoins an existing residential development and is zoned ‘residential living’ by the Gympie Regional Council. “The site has an approval in place for a subdivision to create nine lots including a multi-residential townhouse development,” Mr Burke said. According to Gympie Regional Council, the population of the Gympie region is approximately 50,000 and it offers an enviable climate, affordable housing, employment opportunities and a wide range of educational options. Expressions of Interest close at 4pm (AEST) on Thursday, May 5, 2016.